During my weekend trip to Pittsburgh, I knew there was one place I had to try other than Meat & Potatoes. 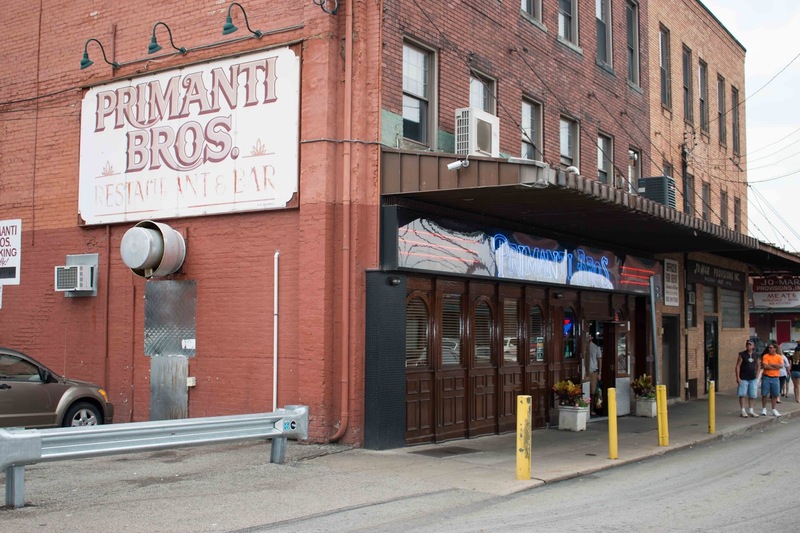 Primanti Brother's is a hometown classic that some may call a tourist trap, but for many it's the place to go after a late night of drinking. Joe Primanti sold sandwiches in the Strip District during the Great Depression to hungry truckers looking for a filling, yet affordable meal. 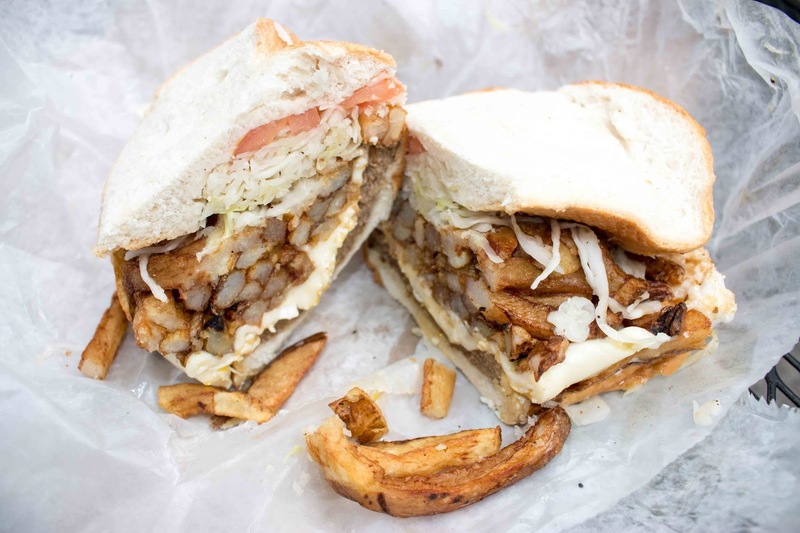 With sandwiches filled with fries, it's no surprise they became popular. 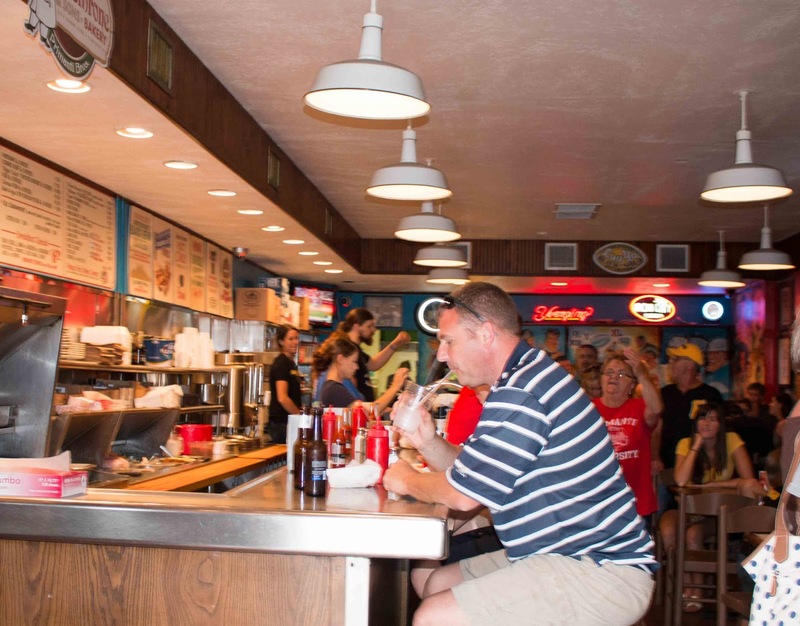 Primanti Brothers changed hands a few times since, but current owner Jim Patrinos has been continuing the tradition for the past 40+ years. It was quite exciting to enter the Strip District location and if you look closely you can even see long-time employee Toni Haggerty! I started with the spicy pub pickles, which were crisply battered and had the faintest hint of spice. 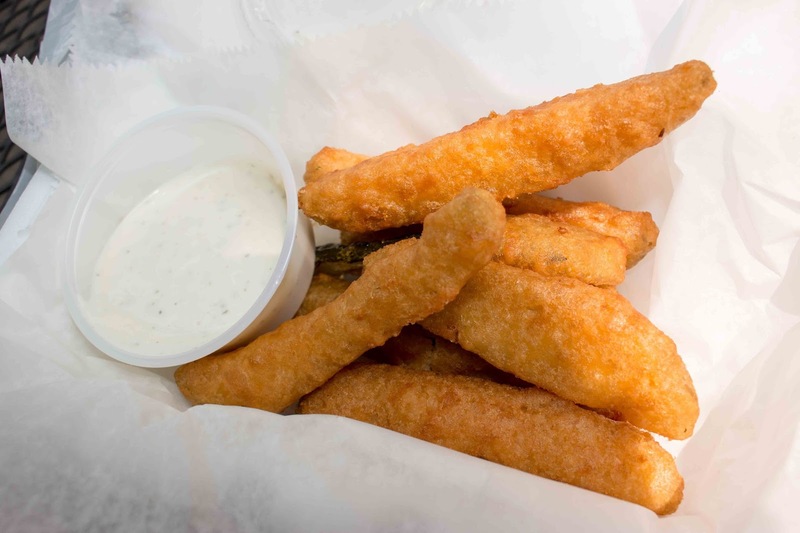 These briny hits of goodness were accompanied by a pat of ranch dressing. Sadly, I was disappointed with what was designated as the #2 best sandwich here (read: it's a Primanti Brothers joke). I loved the bread, which was fresh, soft, and housed a huge mound of fries and slaw. The fries could have benefited from a crisper fry to provide some texture to each bite, but the tangy slaw really made each bite. And who can complain about the fried egg I added? But the steak was a sad sausage-like patty. If this was fresh-sliced steak grilled a la Philly style, this sandwich could have been money. But the consistency of the "meat" was sad to say the least. Next time I'll need to try some of the other sandwiches because unfortunately I was not having it with the meat on the Pittsburgher.